We offer several packages to assist you with your health goals. Hyperbaric Oxygen Therapyhas been used to treat brain injuries, autism, ADD, multiple sclerosis, sports performance/recovery and so much more. Some researchers have noted marked improvement after 40 sessions. There are improvements with fewer sessions, but significant results have been observed after 40 or more, in most cases. For this reason we are offering a special 40 session package. A great way sample a bit of everything. 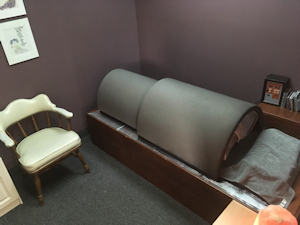 With this package you get 2 Mild Hyperbaric Oxygen Therapy (HBOT) sessions, 2 Infrared Sauna sessions, 2 Aqua-Chi Foot Bath sessions, and 1 Vibration Plate session. 1 Mild Hyperbaric Oxygen Therapy session, 1 Far Infrared Sauna session, 1 Foot Bath and 1 Vibration Plate session. The purification program emphasizes supplements and whole foods, particularly fruits and vegetables, while limiting high-calorie, refined foods and saturated fats. Nourishing yourself with nutrient-rich foods will provide the complex combination of vitamins, minerals, and antioxidants that are needed to protect the body and promote optimal health. With the purchase of the three-week purification program, we offer this package of services to assist you with maximizing your detox process. Includes 2 Hyperbaric Oxygen Therapy and 2 Far Infrared Sauna a week along with unlimited Detox Foot Bath, Laser, and Vibration Plate for the three weeks of the Purification Program. (Package expires at the end of the 3 weeks from which you start the program). Gift Certificates available for all of our services, including new client appointments!